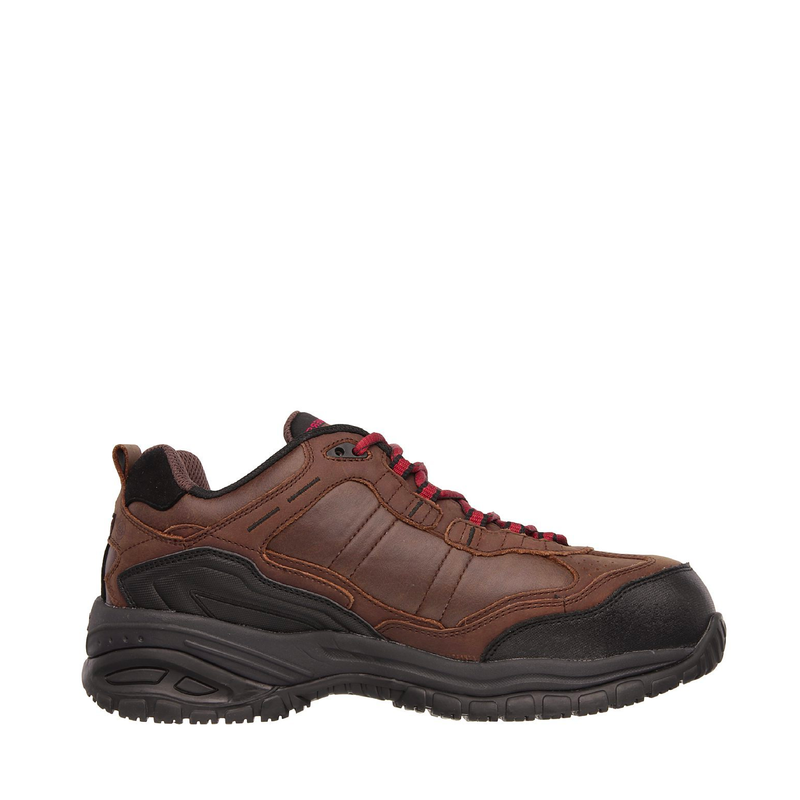 A tough favorite gets even better with the SKECHERS Work Relaxed Fit®: Soft Stride – Constructor II shoe. Smooth oiled leather upper in a lace up casual composite toe work sneaker with stitching, overlay and perforation detail. Memory Foam insole, Slip Resistant outsole.